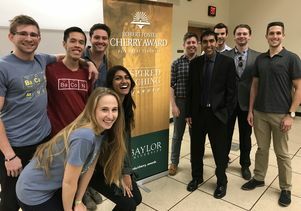 Neil Garg (with jacket and tie) at Baylor University with some of his former UCLA students, who flew to Waco, Texas to support their favorite professor. 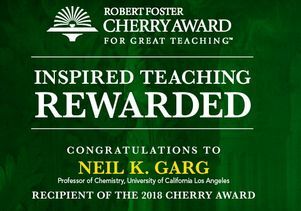 California Professor of the Year Neil Garg is the 2018 recipient of the prestigious Robert Foster Cherry Award for Great Teaching. The award, which is given once every two years, was announced today by Baylor University. The Cherry Award honors outstanding professors who are extraordinary, inspiring teachers with a positive, long-lasting effect on students and a record of distinguished scholarship. Garg, a professor of chemistry who has been on faculty at UCLA since 2007, said that while he was notified of the award weeks ago, it’s just starting to sink in. Robert Foster Cherry, who enrolled in the Baylor Law School in 1932, made a bequest in his estate to establish the Cherry Award program to recognize outstanding teachers throughout the United States and bring them in contact with Baylor University students. The first Robert Foster Cherry Award was made in 1991. Garg, Longenecker and Elmendorf each spent several days at Baylor, teaching classes and giving a public lecture, interacting with students, and being interviewed by the award selection committee. Garg will be awarded a $250,000 prize and the chemistry and biochemistry department at UCLA will receive $35,000 from Baylor University. The department will put the money toward the creation of an Education Innovation Fund. Garg has been getting large numbers of UCLA students to love organic chemistry for years, and has won many awards for his teaching and research, including UCLA’s Eby Award for the Art of Teaching and BruinWalk.com’s Professor of the Year. Garg’s teaching techniques include having his students create music videos. One of Garg’s teaching initiatives is a set of interactive online tutorials he has developed combining real-life examples of organic chemistry, human health and popular culture — making organic chemistry relevant and important to students. Garg calls it BACON — Biology And Chemistry Online Notes — and he has made it available to professors and educators worldwide. Nearly 28,000 students at more than 80 colleges and universities have used or are currently using BACON, including students at UC Berkeley, Caltech, Johns Hopkins, Baylor University, Duke University, Emory University, and universities in China, Australia, France, Israel, India, Mexico and South Africa. Garg has developed, with six of his former undergraduate students a free smartphone app called “Backside Attack” that teaches organic chemistry concepts. The app teaches the first reaction many students learn in organic chemistry: the bimolecular substitution reaction known as SN2. In this reaction, a molecule approaches another molecule from its backside to initiate the reaction. Players navigate through several topics and, through interactive game play, learn how changes in chemical structure affect reaction rates. The fundamental concepts taught through Backside Attack are applicable to many other organic chemistry reactions. Garg and his two daughters, Elaina, 10, and Kaylie, 6, published the Organic Coloring Book in 2017 to help children learn the wonders of organic chemistry. In his award-winning research, Garg develops new chemical transformations that enable the synthesis of important organic molecules. Organic chemistry is the chemistry of molecules made up largely of carbon. We could not live without organic chemistry and Garg has said the field of organic chemistry has made a tremendous mistake in not showing students and the general public its importance, and the major impact it has on our lives. In his undergraduate course, Garg emphasizes problem-solving, creativity and abstract thinking. 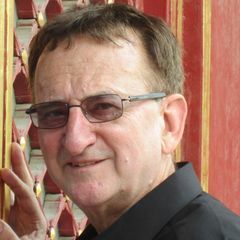 Garg employs creative and effective techniques in his teaching, including assigning his undergraduates an extra credit project in which they produce music videos about organic chemistry, and an assignment in which honors students make videos about careers that incorporate organic chemistry. 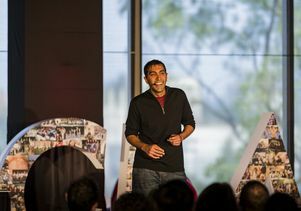 As a result of Garg’s innovative teaching techniques, he is able to present students with extraordinarily difficult concepts and problems — including ones he did not learn until graduate school — which his undergraduates can master and solve. 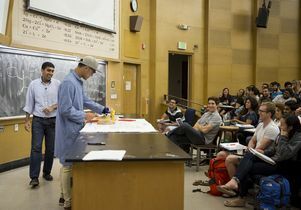 Garg and his family live in a campus residence hall as part of UCLA’s faculty-in-residence program, which allows him to eat meals with students, advise them, go on trips with them and inspire them daily with his passion for chemistry. 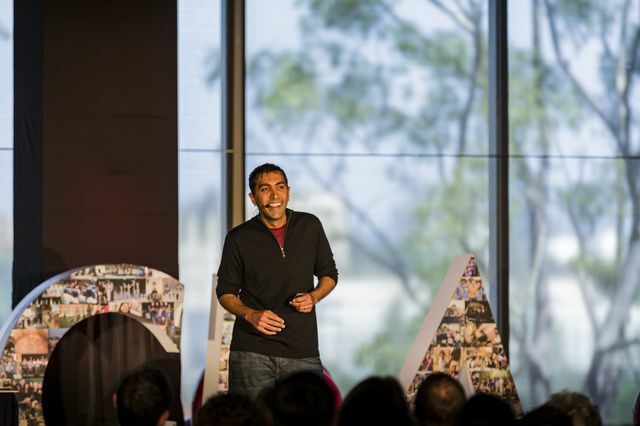 Garg shared his teaching secrets in this 20-minute TEDxUCLA talk. You can watch and read about Garg discussing organic chemistry, too. Neil Garg today was named the 2018 winner of the Robert Foster Cherry Award for Great Teaching by Baylor University. 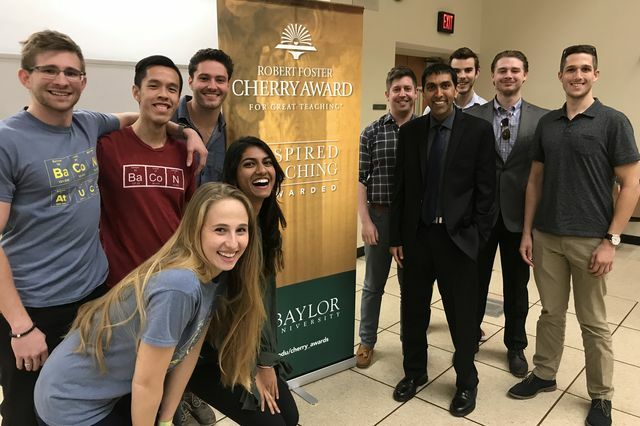 Neil Garg was today named the winner of the 2018 Robert Foster Cherry Award for Great Teaching by Baylor University. Graphic created for Neil Garg winning the Robert Foster Cherry Award for Great Teaching.